The focus of this year’s event was “Libraries and Learning in the E-environment”, held on 11th June at Appleton Tower, University of Edinburgh. For more information, see ELISA Development Officer’s report on the event. The ELISA Open Forum 2008 was an event designed for library and information professionals based in Edinburgh to network, exchange experience and to learn. The focus of this year’s event was “NEXT STEPS: Opportunities for staff training & development in Library and Information Services”, held on 13th May at the National Library of Scotland, Causewayside Building. The ELISA Staff Development & Training Working Group have adopted the event as a valuable opportunity for ELISA members to examine ways to boost their professional development. 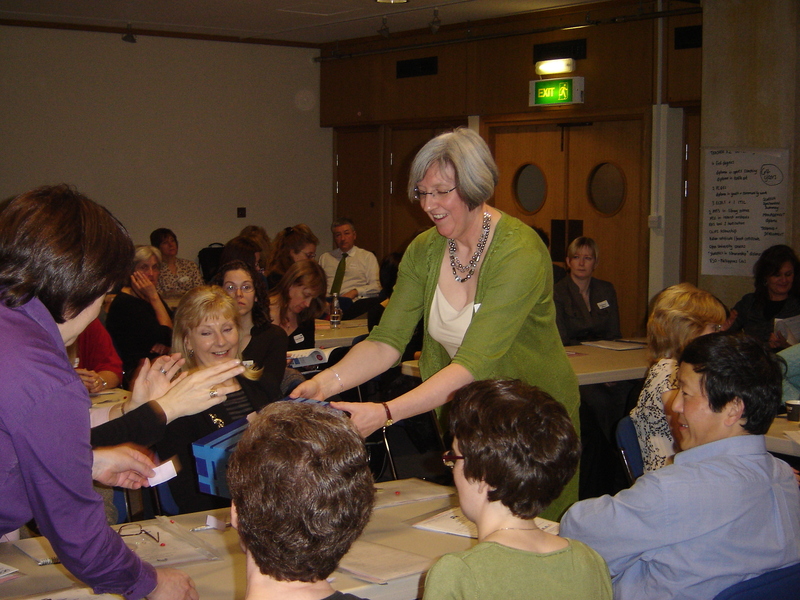 The ELISA Open Day is an annual event designed for library and information professionals based in Edinburgh to network, exchange experience and to learn. 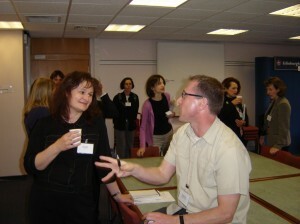 The theme of the Open Day for 2007 was “Skills to Change” as the profession is adapting to radical developments in new technologies and communication methods. A list of presentations given on the day can be viewed here. 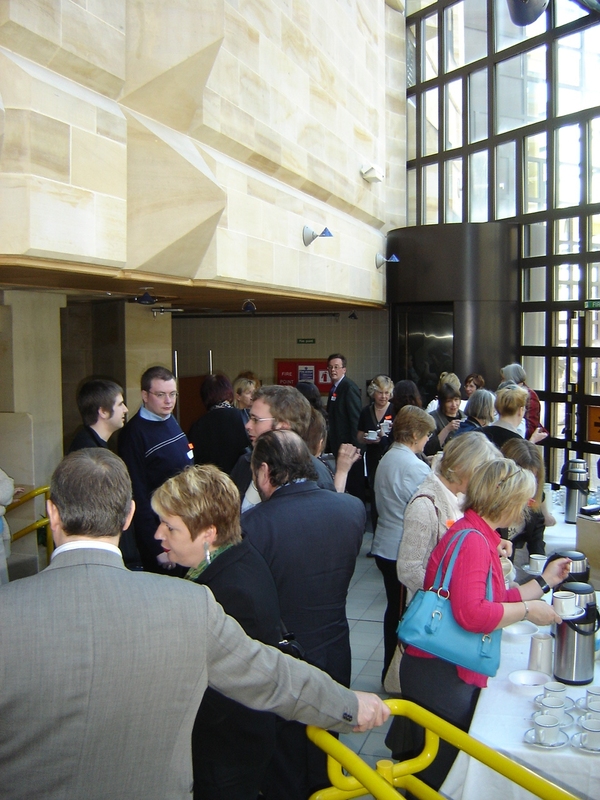 Building on the successful networking event of 2005, the Open Day for 2006 expanded into an Edinburgh Libraries Fair for the information professional, showcasing different organisations from all sectors . Parallel to this, a series of shared best-practice sessions were run. This was the first ELISA Open Day and provided an excellent opportunity to look at the benefits of co-operative working. ELISA is primarily a professional network with an internal focus on the profession, however member services are very keen to raise their profile for the general public and various events have been staged as a co-operative effort in audience development, these have included Edinburgh’s Festival of Libraries. If you want to know about times past or plans future, how to fund raise or hell raise, how to kick start your career or Bookstart your child’s reading you will find the answers in a library in Edinburgh, and you won’t necessarily find it in a book! To find the answers to these questions, the general public were invited to join in Edinburgh’s Festival of Libraries 2008, Saturday 8th – Friday 14th November. Have a look at ELISA Development Officer’s report on the event. Saturday, 6th October, saw Edinburgh’s first Festival of Libraries take place, one of the first events of its kind in the country. Approximately 700 people came through the doors at the Assembly Rooms on George Street in central Edinburgh, to find out for themselves what over 40 library and information services based in Edinburgh could offer them. Nearly a quarter of the people attending gave us feedback and the overwhelming majority said they would definitely come back next year.